Helsinki, Finland — Yesterday, Turin-based company Experientia was announced as part of the winning team for a project in Jätkäsaari, Helsinki, which aims to construct an urban zone with low or no carbon emissions. 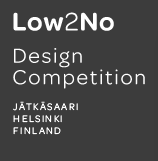 Sitra, the Finnish innovation agency, revealed that the winning team of the Low2No development design competition was made up of Arup, Sauerbruch Hutton , Experientia and Galley Eco Capital — selected out of 74 initial entries — for their C_life – City as living factory of ecology project. Experientia bring their unique perspective as an innovative experience design company to the project. With a focus on people-centred design, and people’s real needs, behaviours and experiences, Experientia provides a balance to the architectural and financial parts of the project, and considers the impact of sustainability on people’s day-to-day lifestyles. The competition jury stated that the multinational team leveraged a particularly promising consumer/behavioural framework to empower citizens in meeting the goal of sustainability. While other team members devised the architectural and financial strategies for the project, Experientia’s responsibility was to address the delicate theme of how to initiate behavioural change to support a sustainable style of living in this completely renewed urban district. Starting with the concept that people, their contexts, social networks, habits and beliefs are crucial tools for creating sustainable change in behaviour, Experientia explored ways to offer people control over their consumption and to see the effects of their actions on the environment. Using their expertise in designing valuable user experiences, Experientia’s strategies to empower people’s change include: developing engagement and awareness programs, through services aimed at creating social actions based on green values; using technology to assist people in making decisions, such as energy metres and dynamic pricing systems; producing positive reinforcement loops (with incentives and benefits) for people who live, work and visit Jätkäsaari; and using the community as a knowledge network to share best practices. Over the next 6 years, the Jätkäsaari district will be designed, constructed and opened to people. From there, the sustainable ideals that govern its day-to-day life will act as a model and example for the rest of Helsinki, Finland and the world. Through Experientia, Turin will be a vital part of this journey. See also this earlier post on Putting People First.